Digital signage in the sports market has reached ubiquity, meaning applications are getting more creative. Whether it’s for interactive stations to bring fans to the stadium, jumbotrons that display real-time social media feeds, or LED art displays that inspire and put local retailers in the eyes of fans, applications seems limitless. 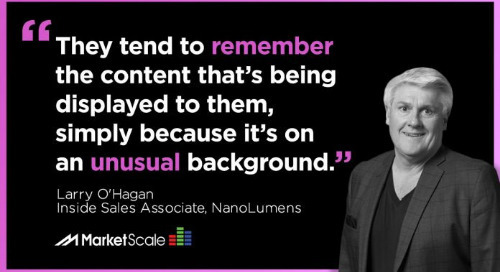 To get perspective on this market growth, we sat down with Patrick Jackson, Senior Business Development Specialist at NanoLumens. 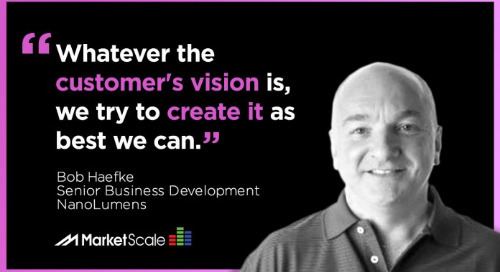 Patrick is a business development veteran in the audio-visual world and has helped bring visions and goals to life in the signage market. On this episode he’ll talk about how digital signage has changed arena design and construction, why it’s been so successful, how it can convert a “dead space,” and about some of his favorite digital signage solutions in different stadiums and arenas. “Once people really started seeing some of these dead spaces, these little utilized spaces, get turned into revenue generating spaces, it really started to take off,” Jackson said.